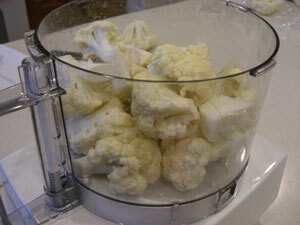 Since we started eating Paleo Diet, I’ve had to find ways to replace rice and pasta. 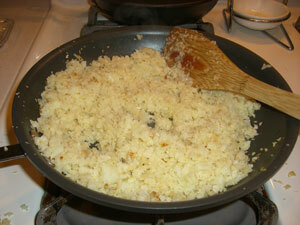 Here is a yummy rice substitute that my picky 7-year old will eat by the bowlful. Heat oil in skillet over medium heat. 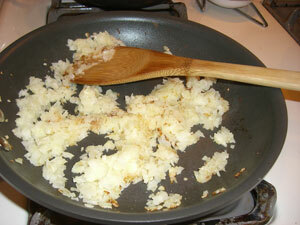 Add chopped onion and cook until it starts to brown. 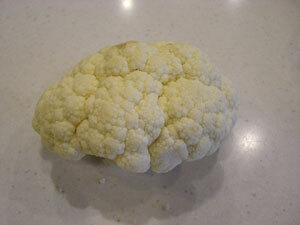 Take 1/2 head cauliflower and cut into chunks. 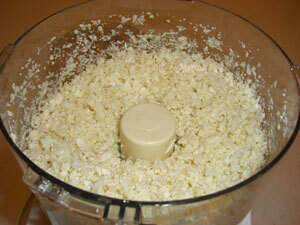 Process (pulse, pulse, pulse) in food processor until the consistency of rice. 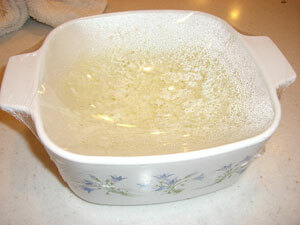 Put in microwave safe dish, cover with tight lid (or saran wrap) and microwave 5 minutes. There’s no need to add extra water. Great to hear. The success people have when they stick with it is typically pretty damn remarkable. Yep, we’re finding it quite reasonable to maintain. Not so much a diet as a new way of eating. hmmmm, a month and a half later and still paleo huh. things must be going well then? I suppose that depends on how you look at it. As a busy mom of two boys who has to cook food from scratch two to three times a day, I’m willing to trade off a few nutrients for convenience. And if you compare the nutrients of microwaved rice to the alternative (regular white rice), I think we still come out ahead. If that’s a concern, of course you could steam it on the stove.